This is truly the case of procrastination evolving into irrelevance. Or something like that. I have been meaning to post this review for a while, but the knife posts kinda took priority. 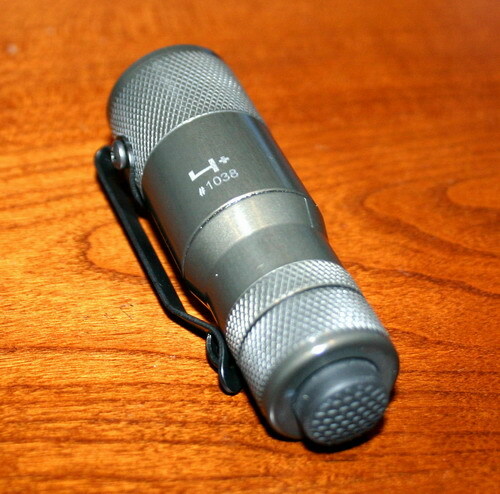 My favorite flashlight company is no more. ARC is going chapter 7. 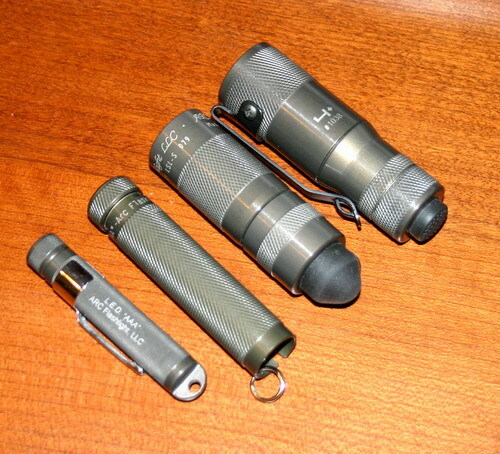 ARC (and Surefire) are the gadgets that brought me into the realm of high performance flashlights. 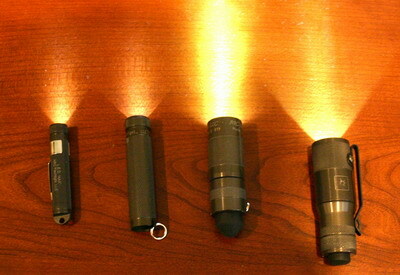 Over ARC’s short life I had the pleasure of owning their AAA, AA, LS, and 4+ lights. 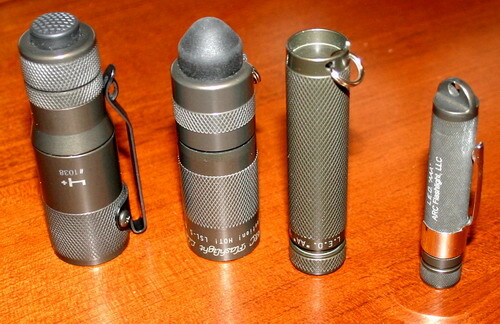 The AAA and LS have been around the world with me many times, and the 4+ is (I think) the world’s only programmable flashlight. It has 16 different brightness levels, SOS, and many other functions. It is my main light for camping and travel. Some ARC family shots. Arguably collectors items now, and no longer under warranty, I will continue to use all of these lights. They’re just too useful to retire. I feel acutely empathetic with Peter (founder of ARC) as an entrepreneur, they tell you do what you love and the money will follow. But many times it takes more than love and hard work. The best part about ARC was their excellent customer service and absolutely open communication with the enthusiasts on CPF. R.I.P. ARC. You will be missed. Went to Blade Show West yesterday, the weather was cooler this year. This time I attended many of the seminars, including Ed Fowler, Bill Herndon, Dave Ellis, and Duane Dryer. This time the man the legend Bob Loveless was present at the show, it was an honor to see him in person. 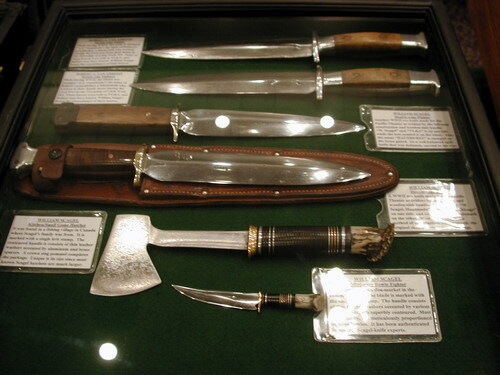 Dave Ellis brought several rare and expensive Loveless models from his collection. These knives feel about as finished and balanced as anyone could want. But you can’t use a $10,000 knife! Red St. Cyr did a demonstration on forging, he turned a small 6″ billet into a 7″ clip point with Tang. 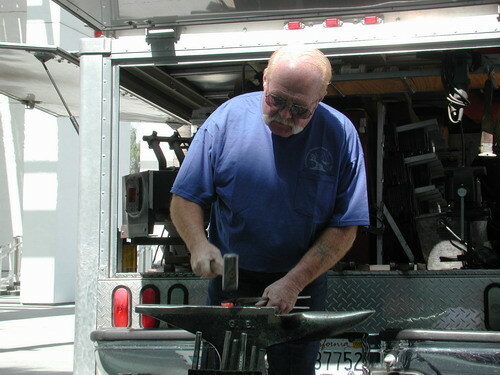 His pickup truck contains an entire mobile forge, very cool. He made the hammering and shaping look easy. And Louis Chow had some fine examples of Scagels which he graciously let me handle and photograph. I was disappointed that Wayne Goddard was not there, as I have been reading his book and hoped to talk with him about some of the contents. It was a great show, and I spent the whole day reveling in the blade world. Funds are short lately (or earmarked for other things) and I did not buy anything this year. Hopefully next year I’ll break that trend! 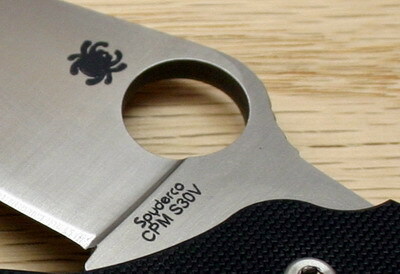 I have been putting this entry off for a while, as I wanted to include as much carry time as possible, and I also noticed my opinion shifting from day to day about this knife. 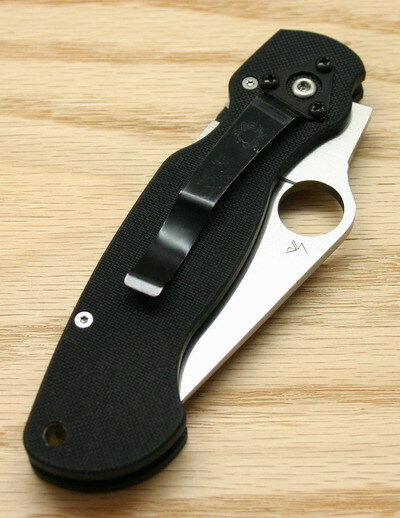 Make no mistake, this is a great piece, but I am vacillating on whether or not it is a primary EDC for me yet. I took this one camping in Maine, and it took some good use from me and Pop, even glancing off of concrete (oops!) while making fuzz sticks. The junior of the classic! 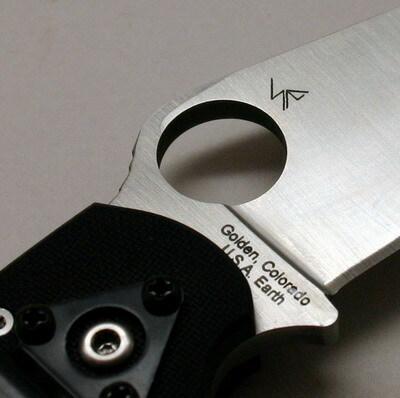 I was one of the happy ones to see that the name paramilitary was NOT etched in the blade. The bug is sufficient, and a nice new trend. 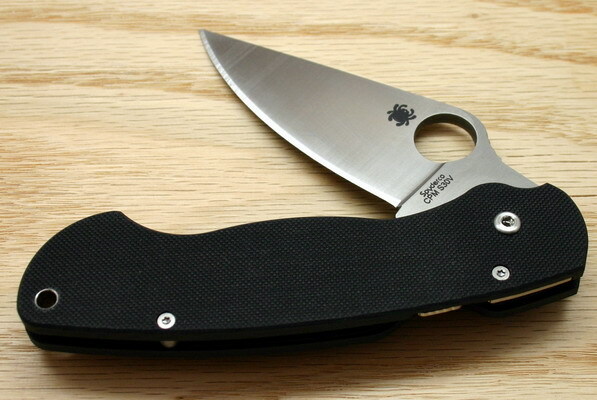 First the litany of great stuff: G10, S30V steel, overall blade shape, excellent choil, good thumb ramp. Now for the whines: not very lefty compatible. 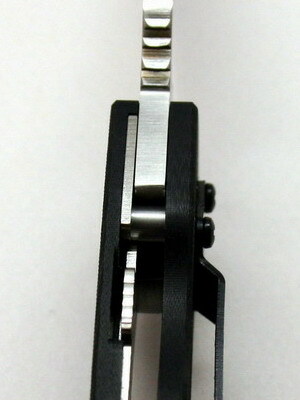 The compression lock is OK, I can work it left-handed, but I really would have liked an opposite-mounted clip option. The action is not nearly as smooth as my full-sized millie, but this might just need some work on my part. Nah… just kidding. I still have more on order dammit! In all, its a solid 8. Sinister-compliant and smoother action would push it to 9-point-something.